Norman A. Moscowitz has extensive experience in all areas of white-collar criminal practice, including securities fraud, environmental crime, tax, consumer fraud, bank fraud and other financial crimes, government program fraud and CITES violations. He represents corporations and individuals in investigations and at trial. He most recently won the acquittal of the president of a brokerage firm charged with stock manipulation and engaging in a kickback scheme. 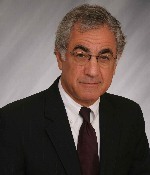 Mr. Moscowitz has represented a number of major cruise lines in environmental prosecutions. In one instance the investigation was closed without prosecution. In another, he conducted an environmental audit which uncovered criminal conduct. The cruise line made a voluntary disclosure, paid substantially reduced fines and avoided debarment. Mr. Moscowitz has been retained by corporations to conduct internal investigations into various kinds of alleged misconduct. He has assisted companies under investigation to develop compliance programs and other strategies to avoid prosecution. Prior to entering private practice in 1993, Mr. Moscowitz was a federal prosecutor and Senior Litigation Counsel in the United States Attorney's Office in Miami for eleven years, where he specialized in white collar prosecution. He also worked in the Justice Department's Office of Special Investigations bringing denaturalization proceedings against participants in Nazi war crimes.